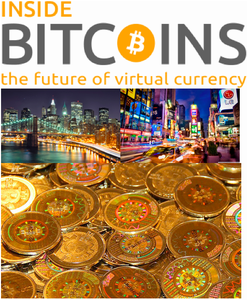 Bitcoin continues to grow in popularity for professionals in a wide array of fields. In addition to serving as an attractive method of payment, Bitcoin’s free market, decentralized, cutting edge nature intrigues many professionals. Just last week BitPay, Inc. signed on a new merchant, Cohen Chiropractic Centre. 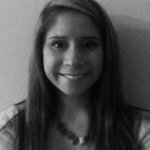 Cohen Chiropractic Centre was founded in 2009 in Atlanta, GA and has grown to a level of prominence. Dr. Austin Cohen became interested in Bitcoin after one of his interns continually shared his excitement about this innovative currency. As Dr. Cohen has been featured on CNN, CBS News and spoken at various conferences for his innovative techniques to foster health and wellbeing for his clients, Bitcoin is just another source of opportunity and innovation he is able to now embrace. Bitcoin Magazine had the privilege of interviewing and meeting Dr. Cohen and hopes to continue to be an information source for all things Bitcoin for Dr. Cohen. Bitcoin Magazine: When did you first hear about Bitcoin? Dr. Austin Cohen: I first heard about it through our intern as he would not stop talking about and every free moment he was reading an article about them. He insisted that I buy a Bitcoin for every person in my family. BM: What was it about Bitcoin that you found interesting? Dr. Austin Cohen: There are 2 reasons why I decided to accept bitcoins in the office. First and foremost, the excitement and fun of something new that is developing and being part of it only a few years into it. Every time I google “bitcoin” a new article pops up that is either positive or negative but the fact people are talking about it makes it very fun. Second, is the simplicity of accepting them and making it easier for transactions and lower merchant service fees. Chiropractic is a progressive industry that is fun and exciting and being the first chiropractor in the World to accept them makes it that much more fun. BM: When did you first enter in the medical field? Dr. Austin Cohen: I started chiropractic school in 2005 and it was my first year in school that I realized my opinions and statements are affecting the lives of many. I officially graduated in 2009 and opened my own clinic 7 months following graduation. BM: Were there any pre-existing businesses that inspired you to integrate Bitcoin into your business? Dr. Austin Cohen: No, I personally do not know of too many businesses that accept Bitcoins. BM: Where do you see your office going in a year now that you have chosen to accept payment in Bitcoin? Dr. Austin Cohen: I see us being able to connect more with other tech startups. They have all shared with me how great Bitcoin is and why I should take them and now I am excited to share with them about chiropractic and why it is so valuable for their life. BM: What makes your chiropractic services stand out in comparison to other chiropractic offices? Dr. Austin Cohen: There are a few key distinctions but the big is one is we don’t just want to get people out of pain but we want to correct the problem by putting together a plan and help them create their healthiest life. Some chiropractors are symptom based which is a reactive model and similar to medicine by waiting until a problem occurs then treat it. Our goal is to find problems before they become symptomatic and correct it through our specialized corrective techniques. We also do dynamic monthly workshops and have other resources for people to maximize their healthcare. BM: What are your suggestions for individuals hoping to start a business like yours and hoping to integrate Bitcoin into their businesses? Dr. Austin Cohen: Do it! We live one life so quit being so status quo and take a risk. 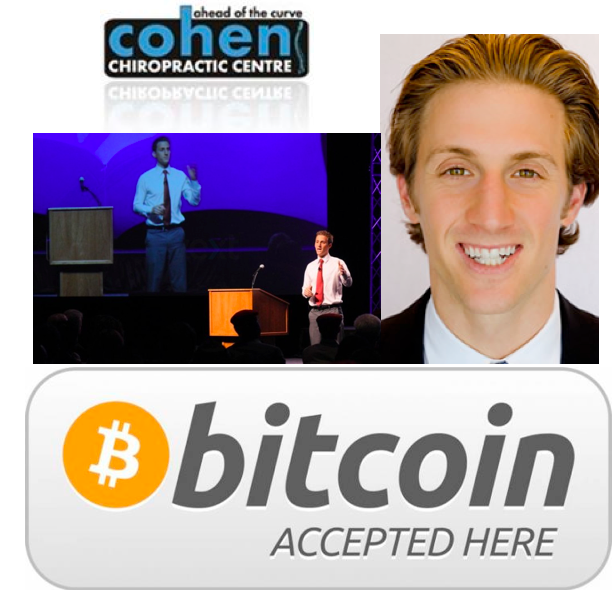 Bitcoin Magazine congratulates Dr. Austin Cohen and his team at Cohen Chiropractic Centre on their embrace of the Bitcoin currency and taking Bitcoin to another level in the medical field. Should you ever be in Atlanta, GA feel free to stop by Cohen Chiropractic Centre!